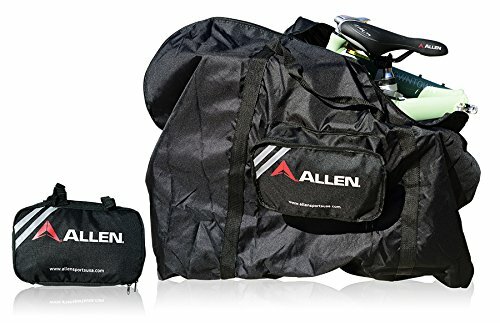 Black nylon storage and transport of Allen Sports Folding Bicycles. Keeps the dirt and grease from your bike all contained to protect your home or vehicle when you are storing your bicycle. Frame straps allow the bag to be carried on the bicycle frame when not in use. Note that the bicycle shown in the photo is NOT included with the bag.